"The ultra shiny, moisturising Lip Plumper utilises the incredible properties of ginger, cinnamon and menthol to deliver an amazing plumping effect." It comes in 2 shades - a cute red/pink called Sterling Blossom and a warm bronze called Lavish Instinct which I have for you today. The lipgloss comes with a sponge applicator and is very moisturising. The formula isn't sticky at all (something I really hate) and Lavish Instinct gives me lovely warm rosy lips. 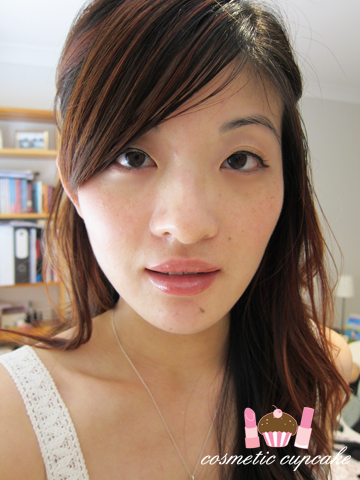 I didn't notice a huge plumping effect but I did find it smoothed my lips and gave them a slightly fuller effect. When you first apply it you get a lovely tingling and cooling sensation due to the menthol it contains. The smell takes some getting use to as it contains cinnamon and ginger but it's quite pleasant. Would I repurchase? 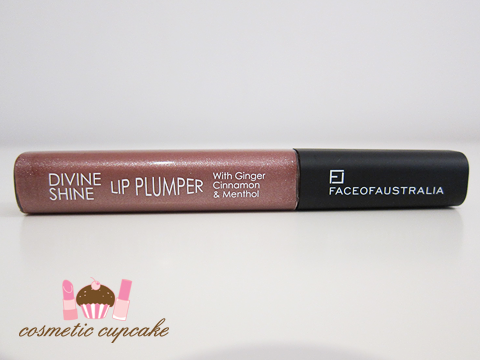 : I really enjoy using Divine Shine Lip Plumper however I very rarely repurchase lipgloss colours as I always want to try new ranges and colours! I would repurchase this in Sterling Blossom however as I love pinks and the formula is wonderful. 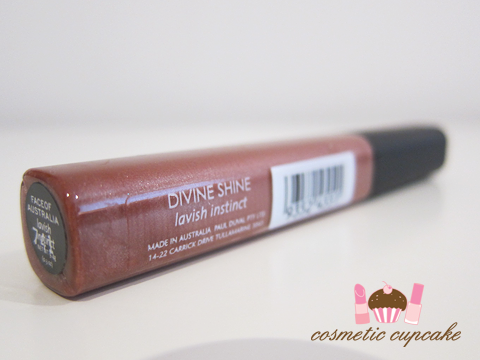 Face of Australia Divine Shine Lip Plumper can be purchased from Priceline, Kmart, Big W and selected pharmacies Australia wide for $10.95. Lovely! It's a really flattering colour on you. I've never, ever tried FOA stuff so I'd been keen to give this a go. @.blushfully. : It's a lovely colour! @Di from Max The Unicorn: Ooh I'm glad to hear you like it too Di! Thank you for your sweet comment =) It's definitely a great quality and cheaper alternative to the more expensive lip plumpers. @Millie: That's really disappointing to hear that you've boycotted them. Have you tried emailing them regarding the products you liked that have been discontinued? Maybe they have something similar in the range?